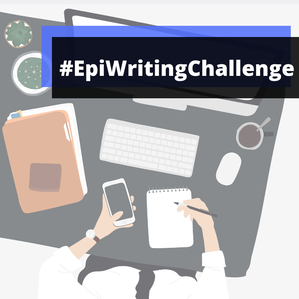 ​The first #EpiWritingChallenge was launched in November 2018 by Bailey DeBarmore, Ellie Murray, and Malcolm Barrett, after being inspired by the #RxWritingChallenge. 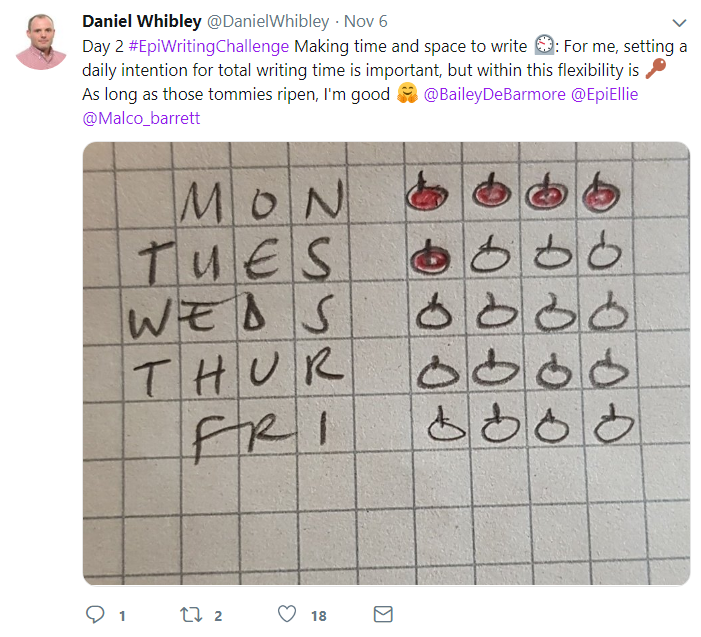 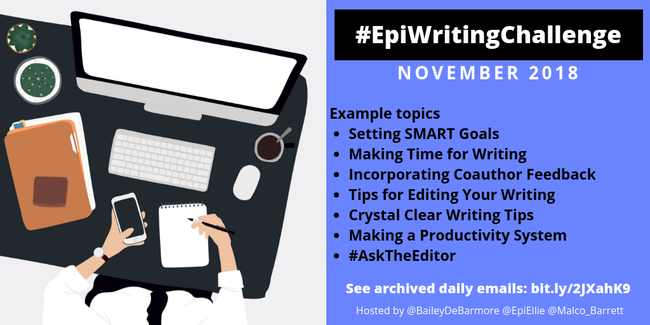 The idea behind the #EpiWritingChallenge was 4 weeks of community support and writing tips to encourage one another for a month of productive writing. 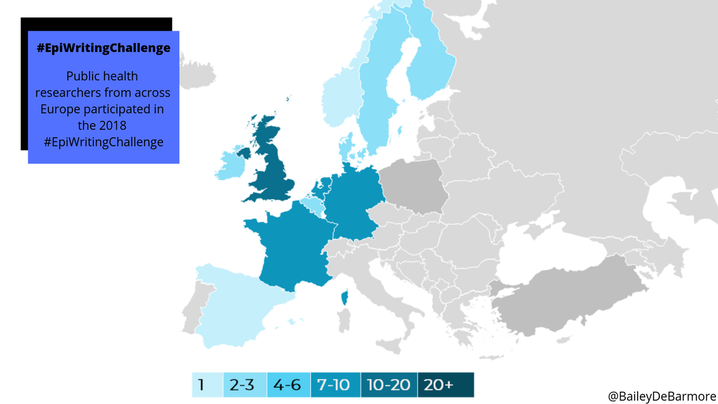 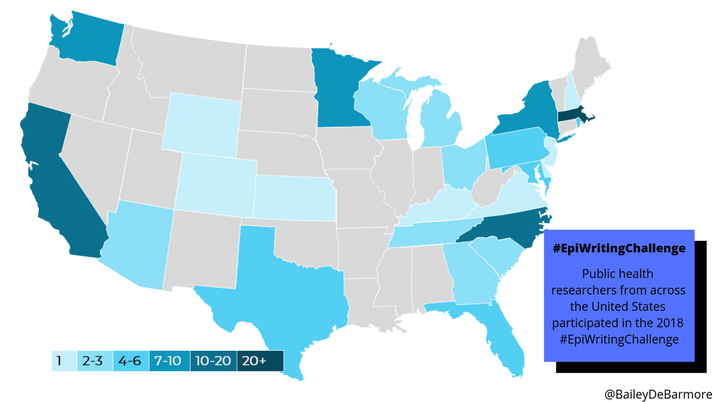 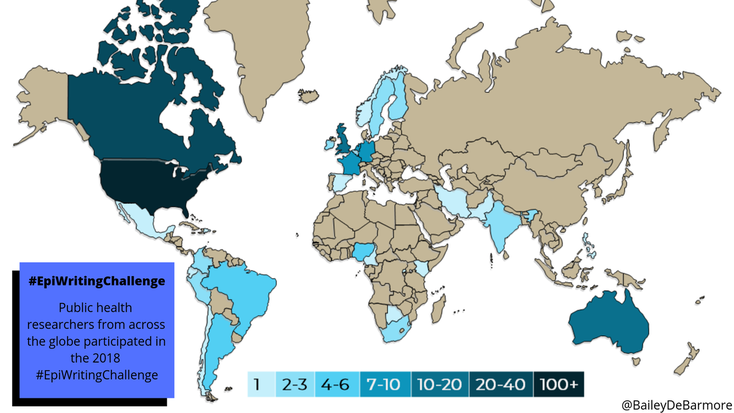 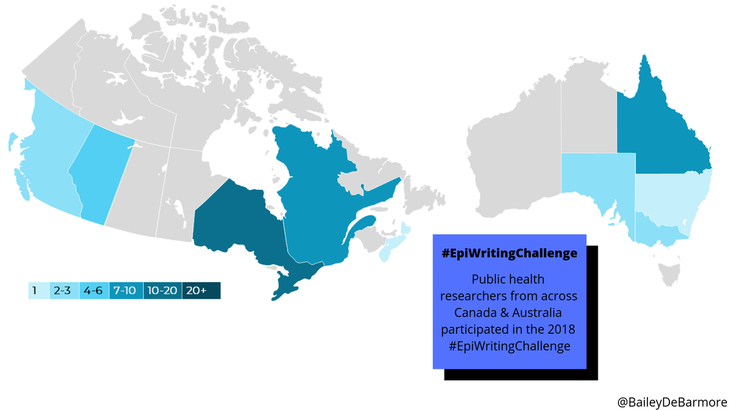 Epidemiologists and public health researchers from all over the world signed up on Twitter, and received daily emails with topics ranging from "How to Set SMART Goals" and "Making Time and Space for Writing" to 3 days of tips for "Crystal Clear Writing" and "How to Incorporate Coauthor Feedback". 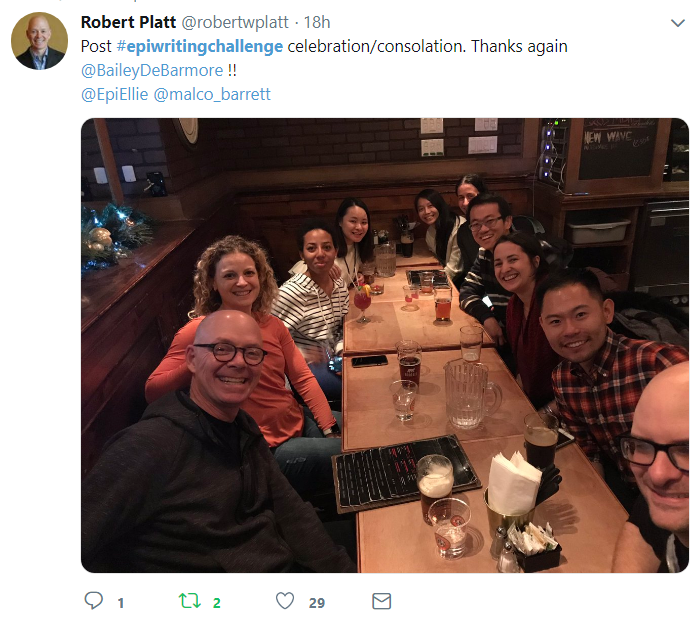 We wrapped up the challenge with an #AskTheEditor event on Twitter, where editors like Bill Miller and Tim Lash answered questions from participants on a range of topics from writing a good cover letter to submitting a commentary. 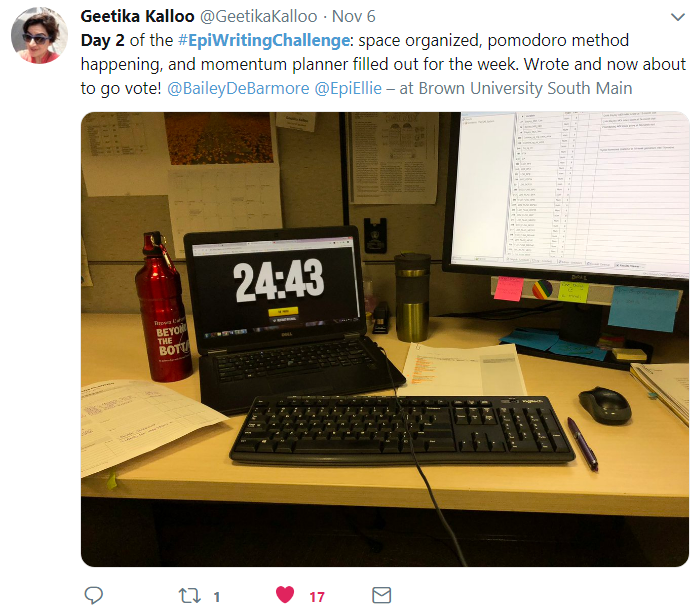 Learning how to set goals is the first step in a successful habit.​ #EpiWritingChallenge participants kicked off the month by setting SMART goals. 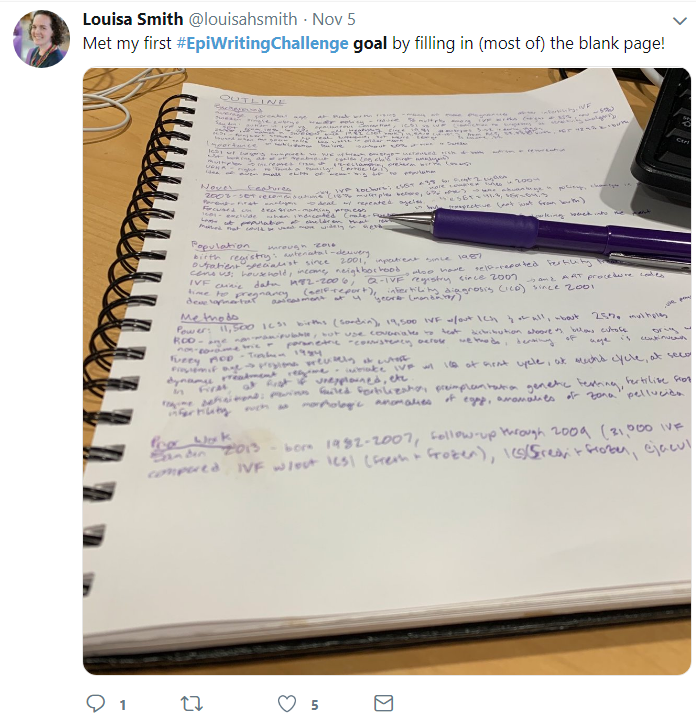 Some participants aimed for 30 minutes of writing a day, or just writing something at all, or like Louisa Smith, a PhD student at Harvard, who went old-school with pen and paper (right). 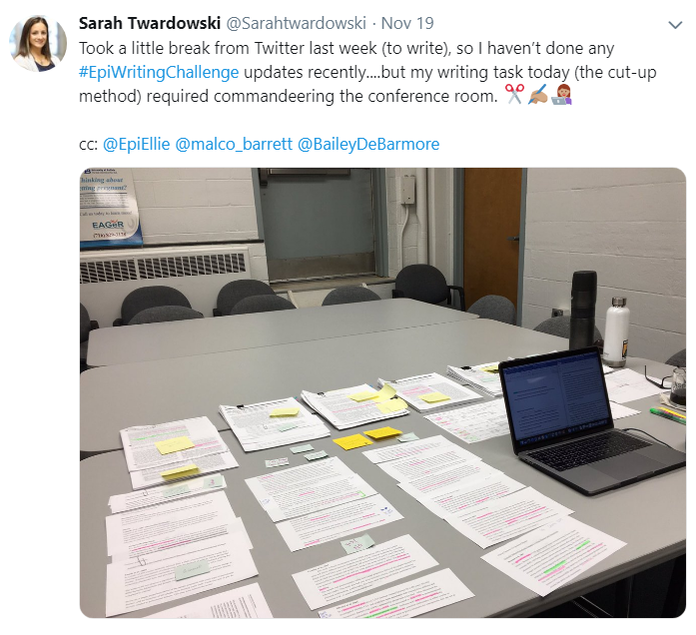 An overarching theme for nearly all participants during the challenge was how to make room in your schedule for something important like writing, but also staying flexible as the unexpected come up.